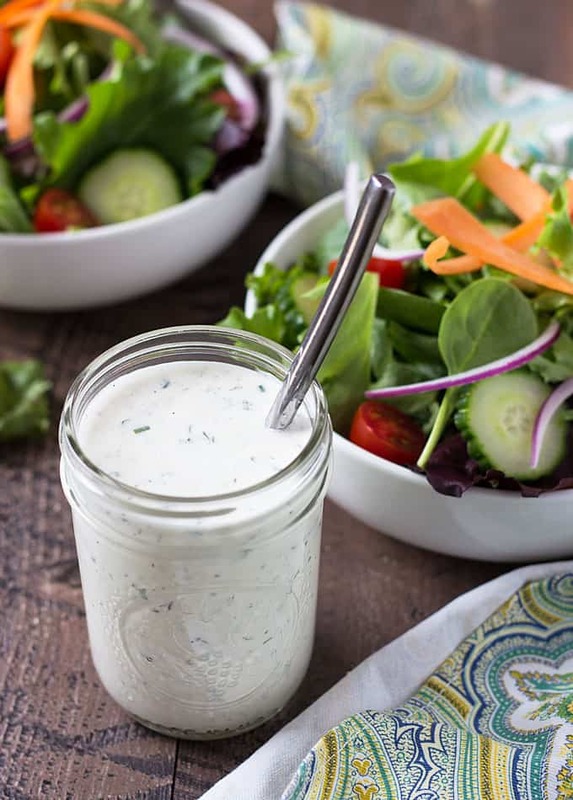 This Homemade Buttermilk Ranch Dressing is so quick and easy, there’s no reason for you not to make it! 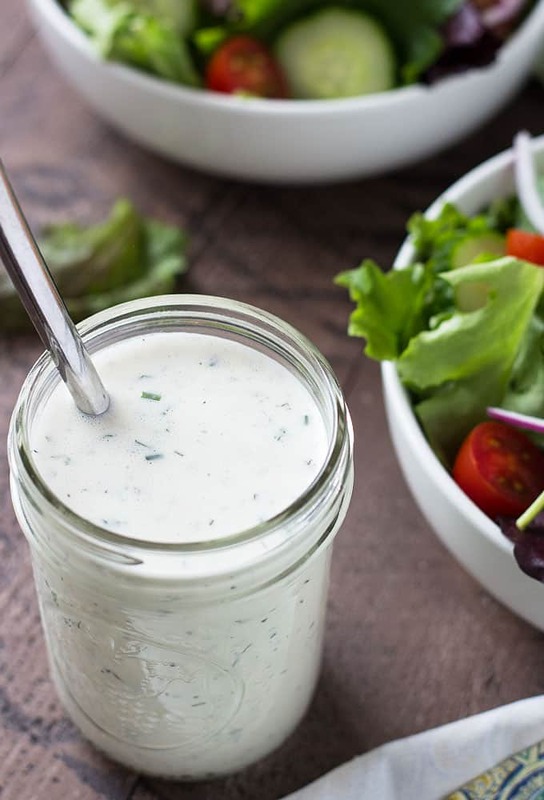 Buttermilk Ranch Dressing is so easy to make at home! 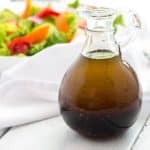 I had some buttermilk left over from the Blueberry Lemon Bundt Cake I made last week and have been craving a huge salad… so there was nothing else to do but make this dressing! 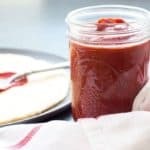 It’s insanely easy to make, and with just a few ingredients. 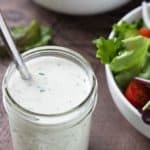 As you’re making it you can play around with the ingredients and get the consistency to your liking by adding more or less buttermilk, depending on how thick you like your ranch dressing. 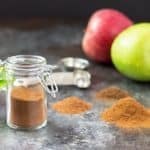 This recipe yields about 1-1/3 cups. 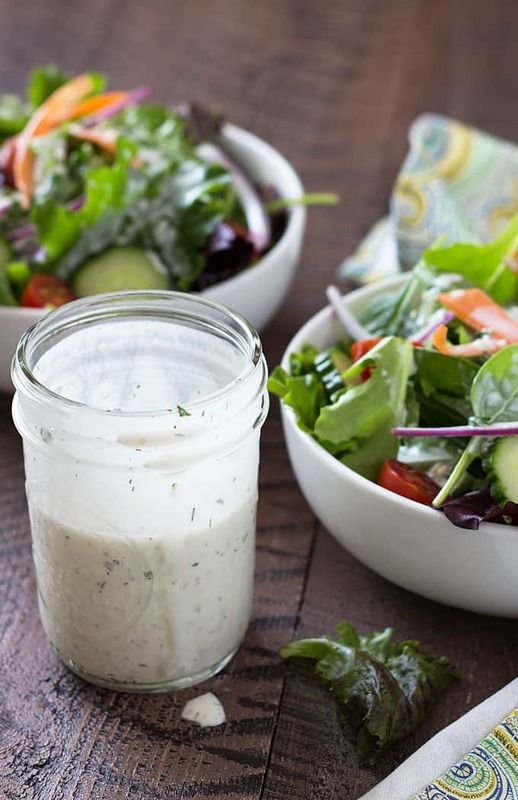 If you’ve never made homemade ranch dressing before, you’re so missing out! 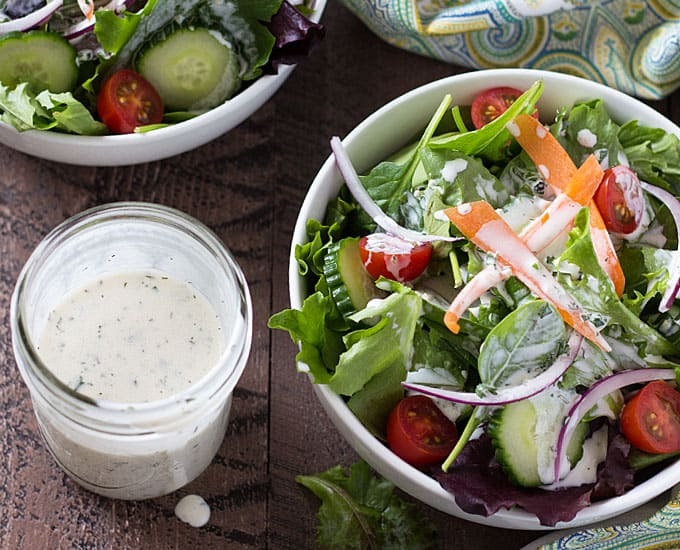 Ranch is by far one of my favorite salad dressings. 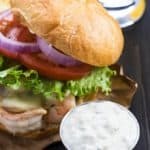 I also love dipping fresh veggies in it as a mid-day snack. 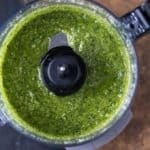 Place all ingredients in a medium bowl and whisk well to combine. 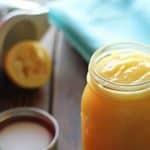 Cover or store in an airtight container and refrigerate until ready to serve.